and draw attention to the content of the artwork. will become the key to the child’s fantasy world, by that we will be able to see the picture and understand it even more and better. The naming and reading of images is an exceptional and added value of artistic creativity and also the added value of XXIII. Annual Year of Biennale of Imagination. A key part of this year’s theme is the text. Written text, text printed, spoken text, text in image – image in text. The International Biennale of Imagination – Children Art Festival is a theme-oriented competition and a parade of children’s artistic creation, aimed at making folk verbs, fairy tales, songs, rehearsals and children’s games, taking into account the specific artistic expression and the national tradition of the participating countries. The goal of the competition is to develop children’s sensitivity and fantasy through artistic expression and to help spread the ideas of friendship and humanism among nations. 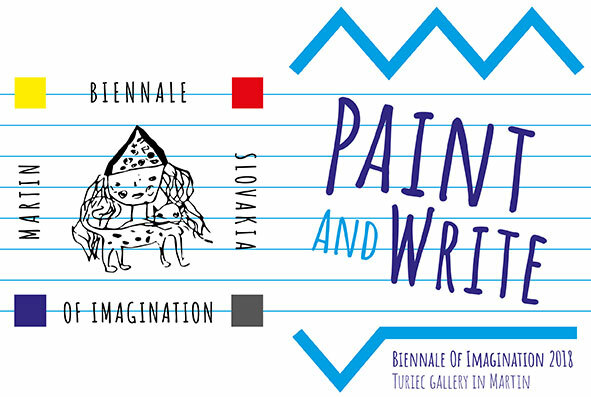 The award ceremony is part of the opening ceremony of the exhibition Biennale of Imagination 2018, which will take place on 06.09.2018 in the Turiec Gallery in Martin. The event is documented by camera and photo recording. The entry is posted on www.turiecgallery.sk and TG facebook page.